Simon and Dean manufacture steel workshop benches to suit any requirement, including stainless steel construction for environments requiring strict standards of cleanliness and hygiene, engineers and mobile workbenches, bespoke and custom-made, specials and heavy-duty work benches. 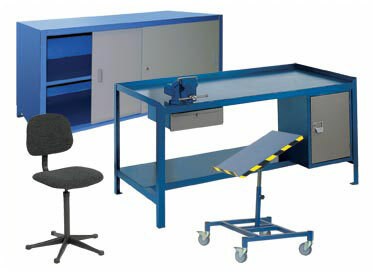 All workbenches are of fully welded, rigid steel construction. Available with or without retaining lip.